Due to the silting up of the channel at Blakeney, tickets can be purchased from Blakeney Quay, whilst the trips depart from nearby Morston Quay. On collection of your tickets, our ticket seller will give you full directions to our specific departure point at Morston Quay. Morston Quay is signposted in the centre of Morston village on the A149 North Norfolk coast road between Blakeney and Wells-next-the-Sea by the village green and bus stop. When you get down to Morston Quay you will find car parking, a café and toilets. 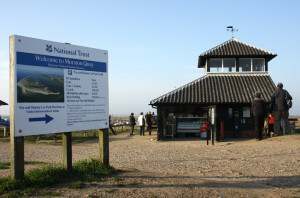 Please note that the car park is operated by the National Trust so charges apply (unless you are an NT member).